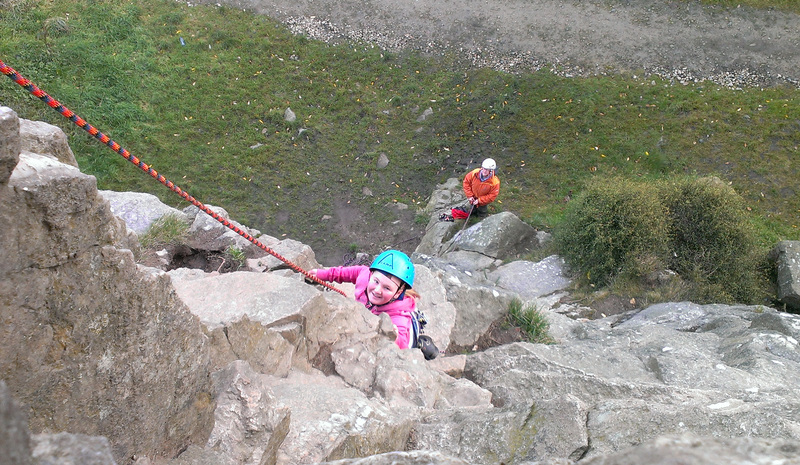 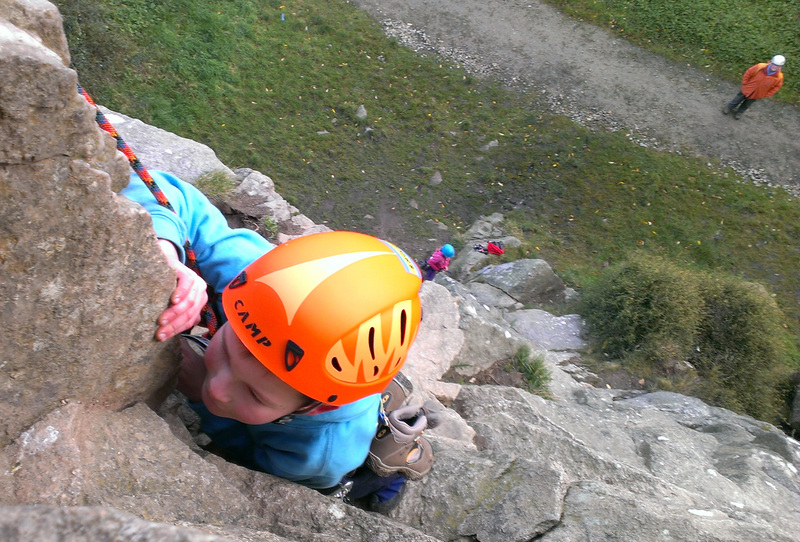 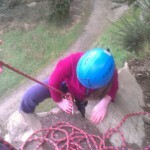 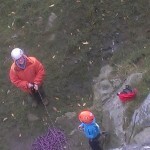 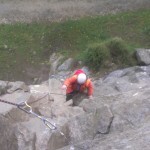 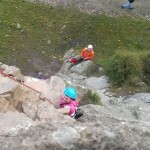 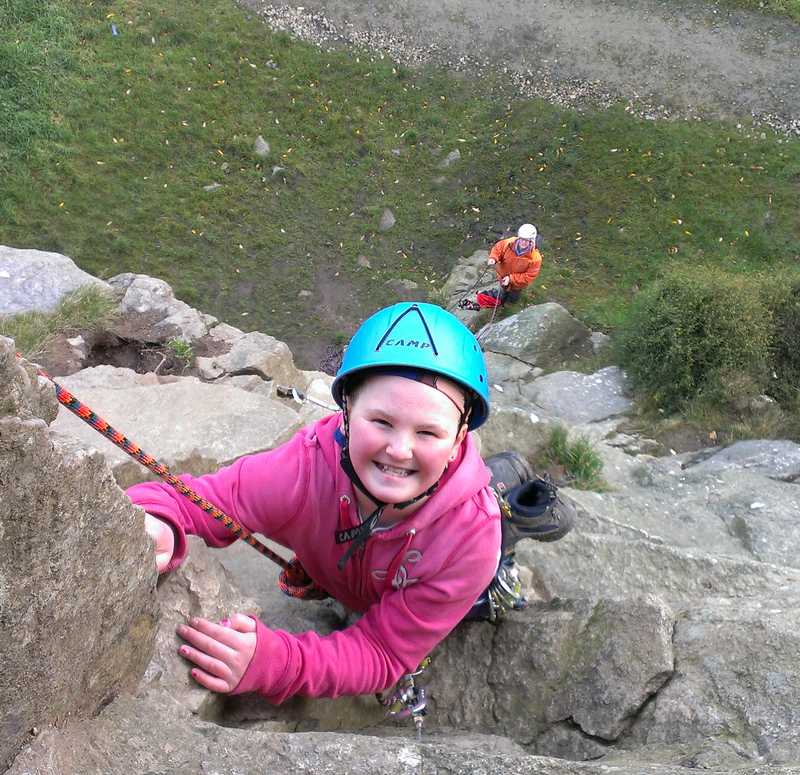 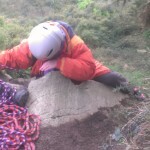 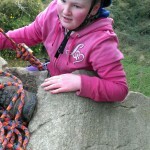 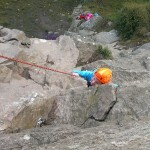 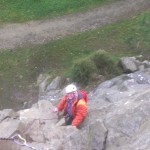 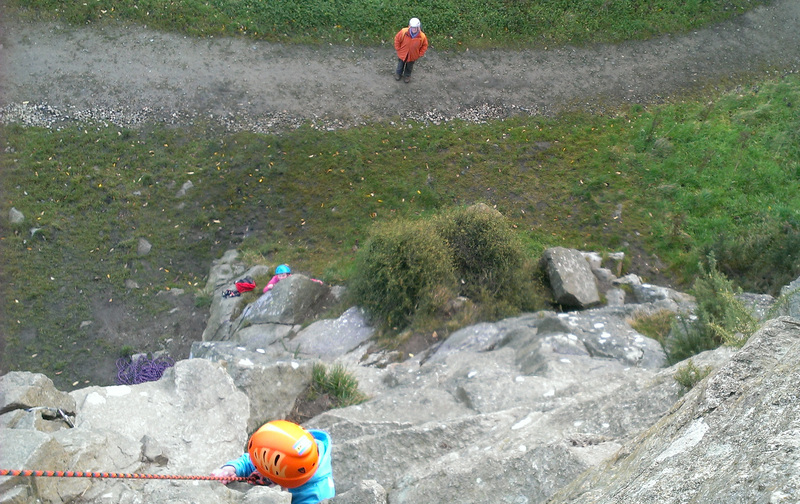 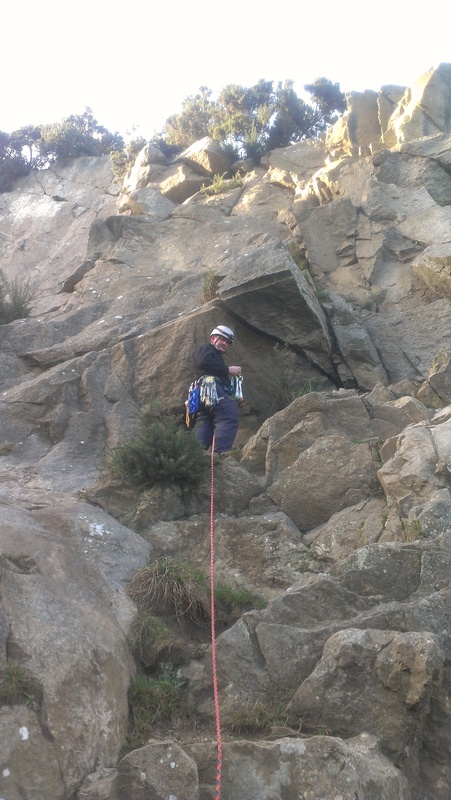 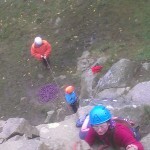 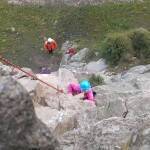 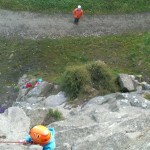 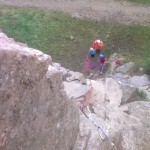 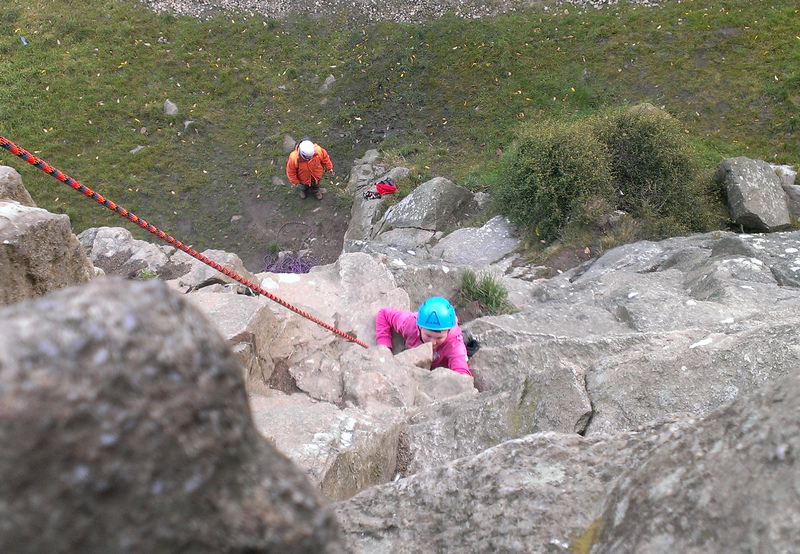 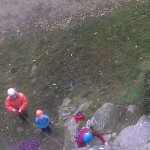 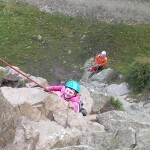 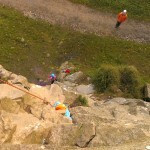 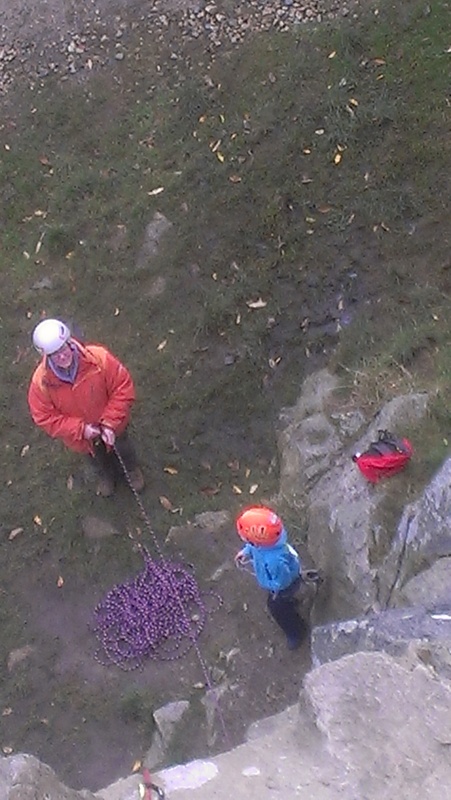 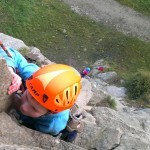 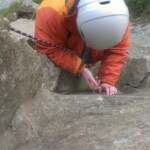 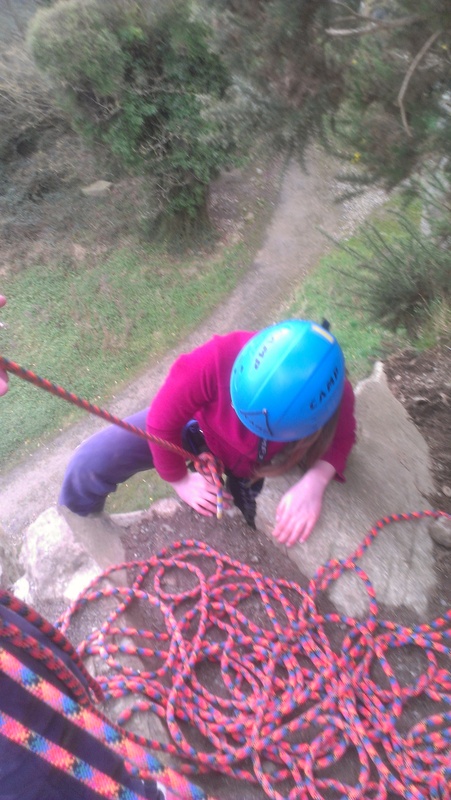 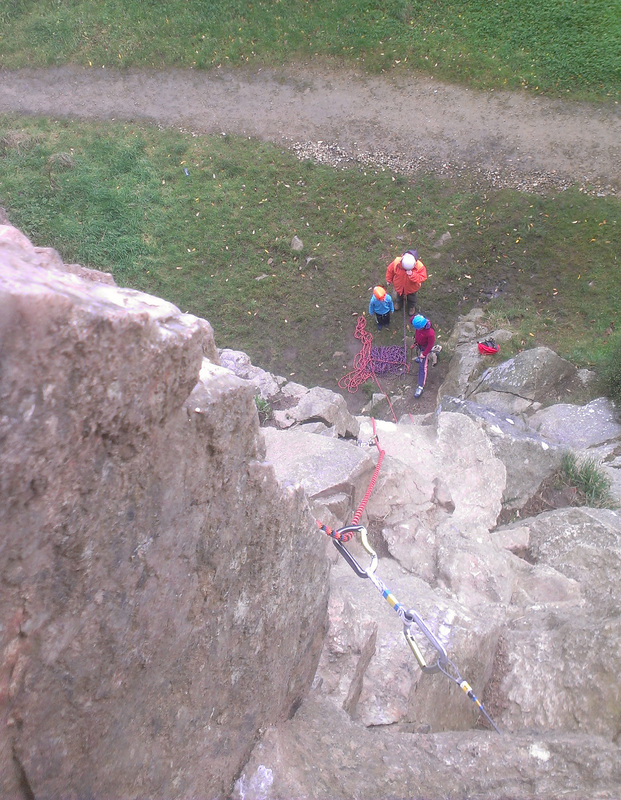 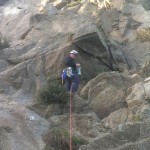 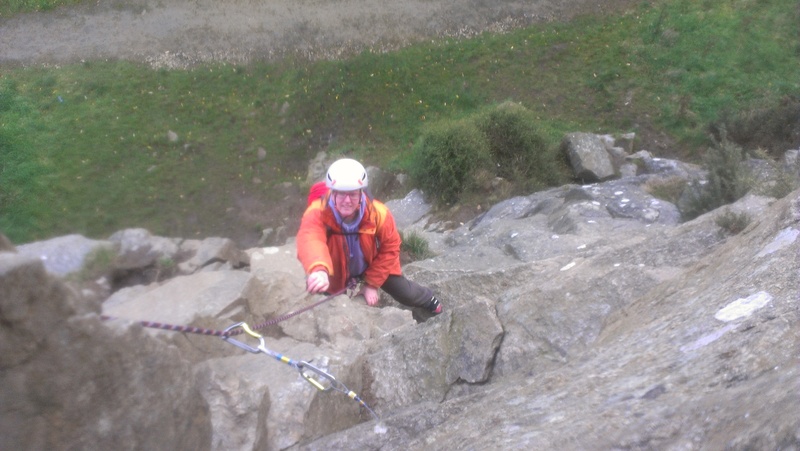 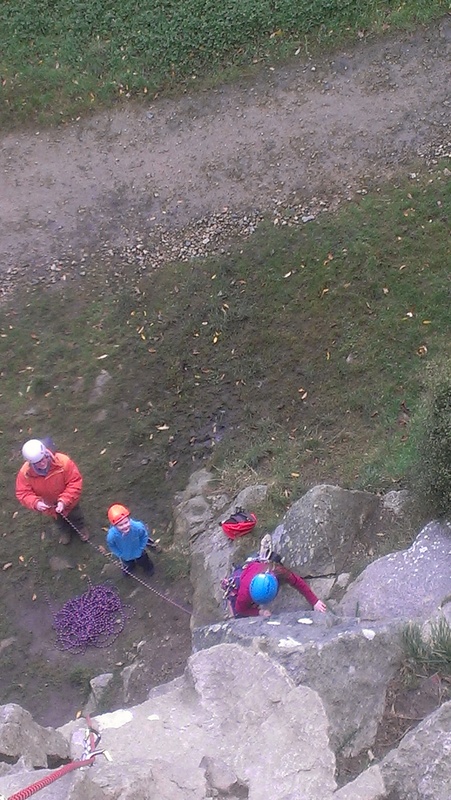 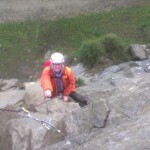 The kids got a few bits of climbing gear for Christmas and wanted to go to Dalkey to try them out. 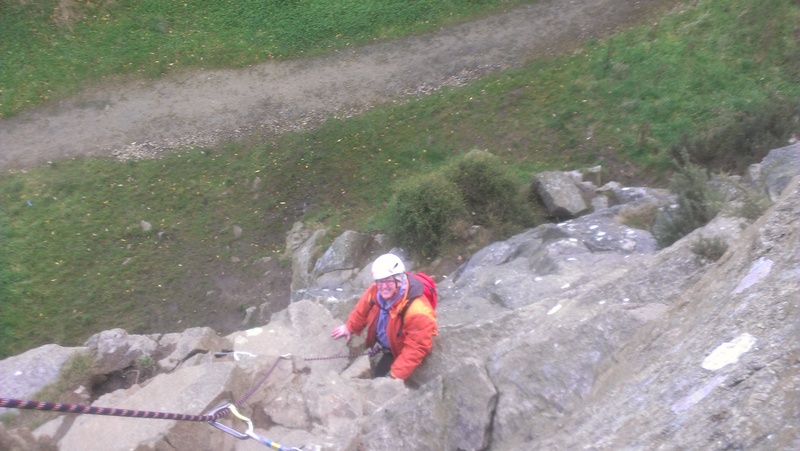 We woke up this morning with nice sunny weather but the forecast was not good, however at 11am it was still good so we decided to go for it. 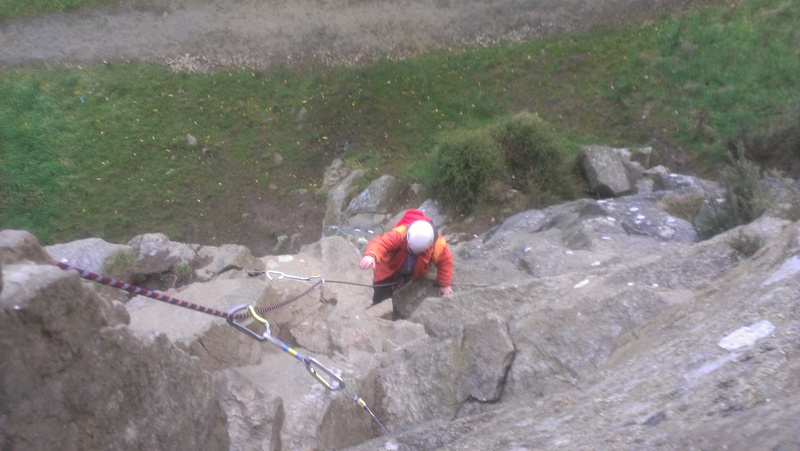 When we got geared up in the car park we took a look around and the wind was getting up and we saw rain over the hills and in the bay, I warned the kids we could be walking in to walk out if the weather closed in on us. 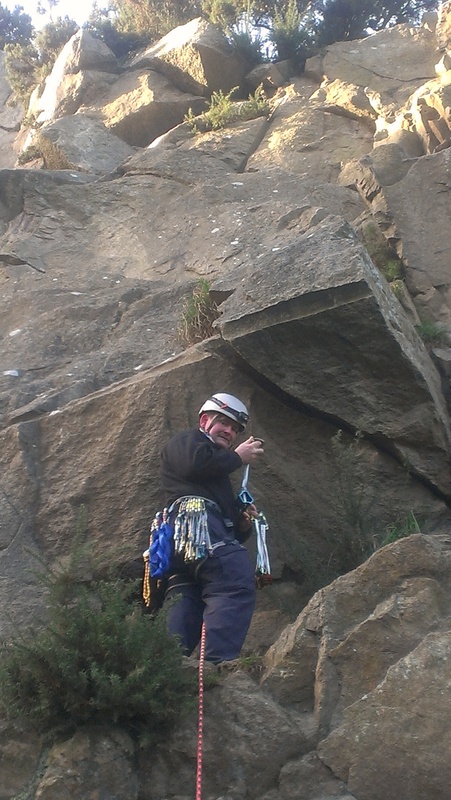 However we got to the East Valley the sun was shinning again. 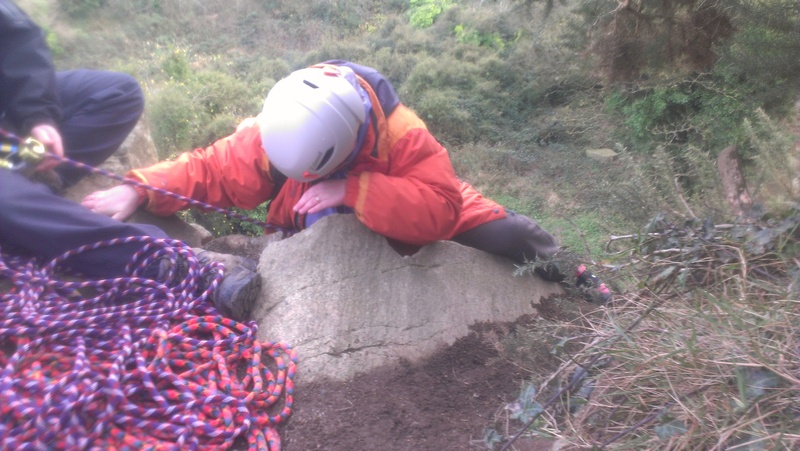 We set up on Drinkers Direct – 15m VD – which I lead, I used a bit of gear I got for Christmas, using the new hex’s and some nuts. 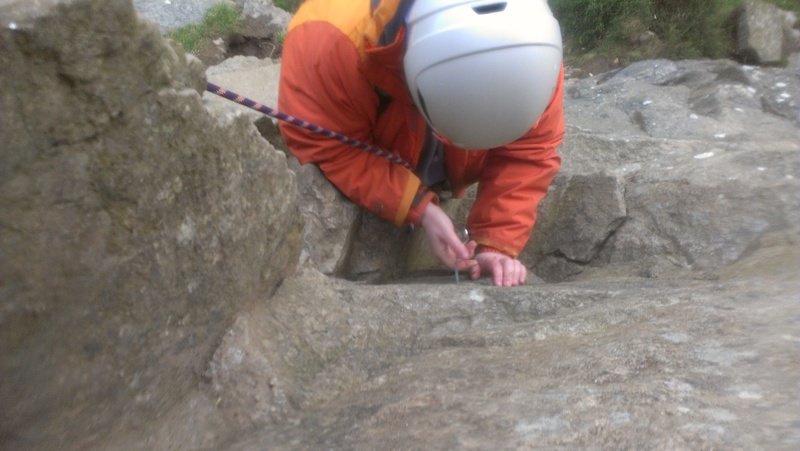 I probably used more than I needed but wanted to try out the hex’s. 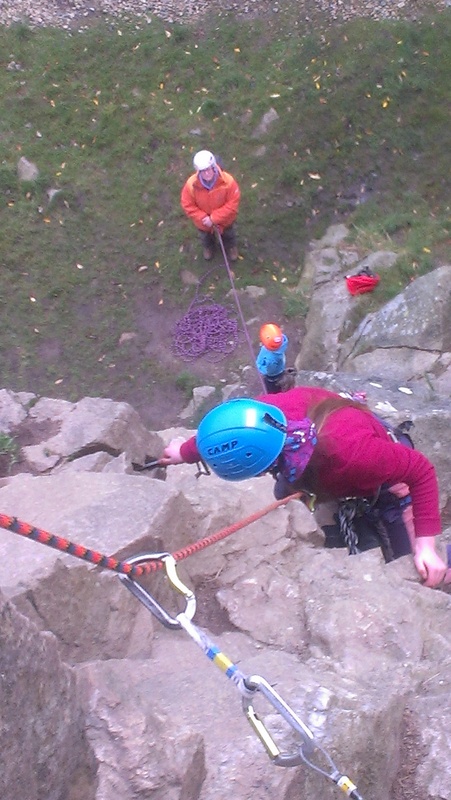 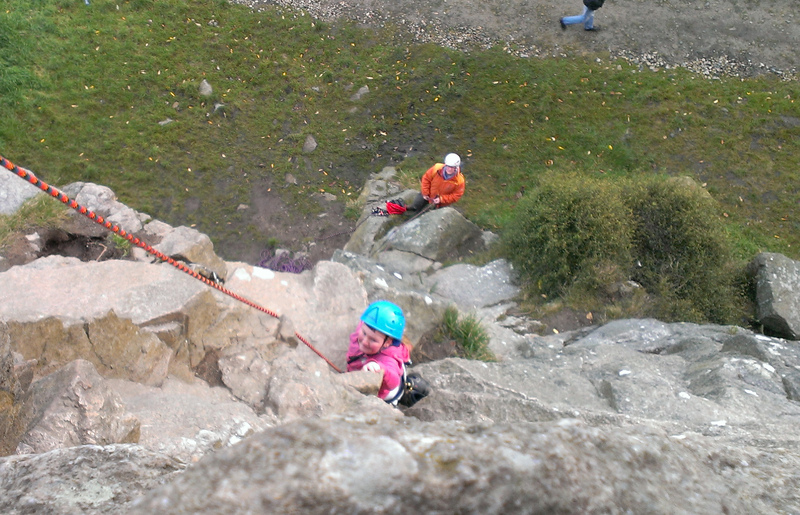 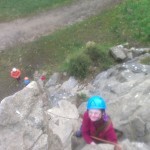 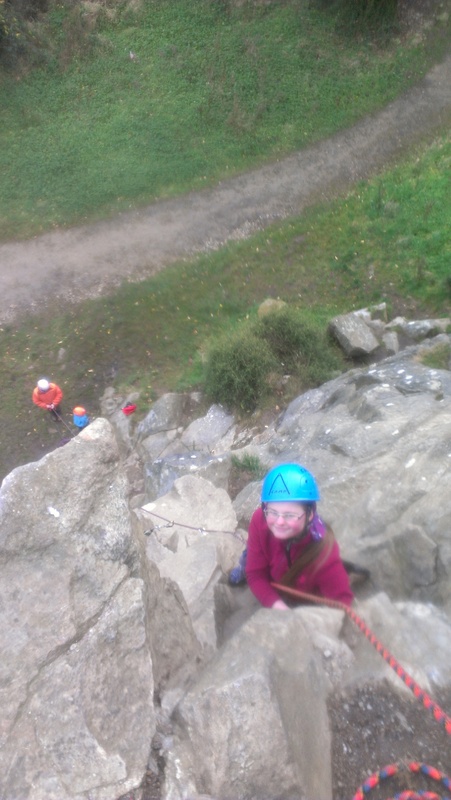 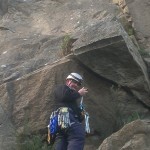 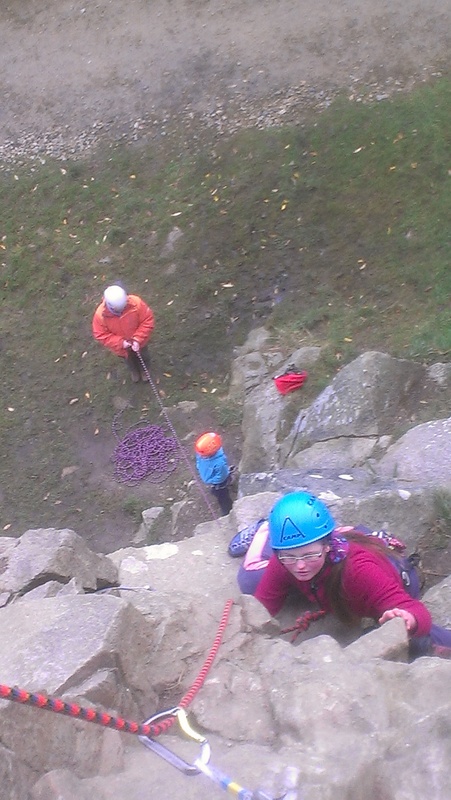 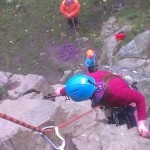 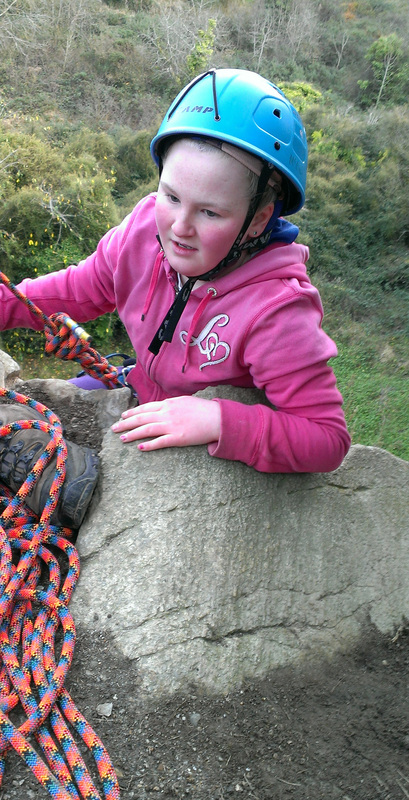 Aoife and Ciara seconded the route but had a second rope belayed from the bottom that they could remove and replace the gear as if they were leading on the second rope. 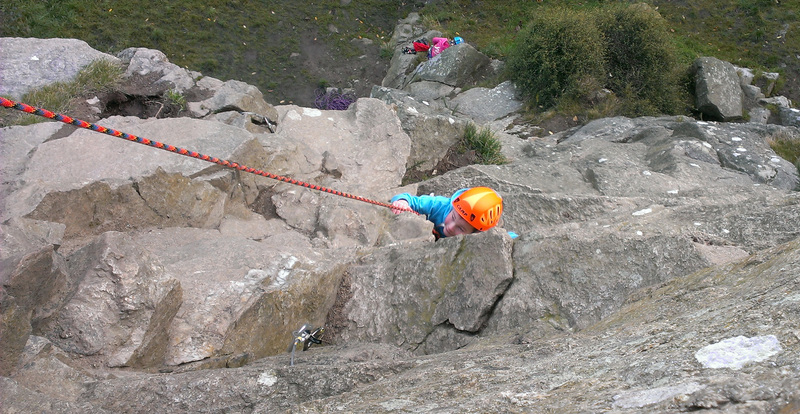 Ruairi got a little scared half way up but we persuaded him to finish the climb and he had a ball, his new orange helmet looked great.